Patrick Joseph Loftus was born in Galway, Ireland on 1 March 1848. He settled in Chicago in 1868. He was married to Mary Agnes Seery (born 1 September 1850 in Galway) in New York City in 1866. Mary Agnes died in Chicago on 9 August 1910. Patrick died in Chicago on 18 August 1919. They are both buried in Mt. Carmel Cemetery in Hillside, Illinois. For further details, contact the Chicago Genealogical Society. 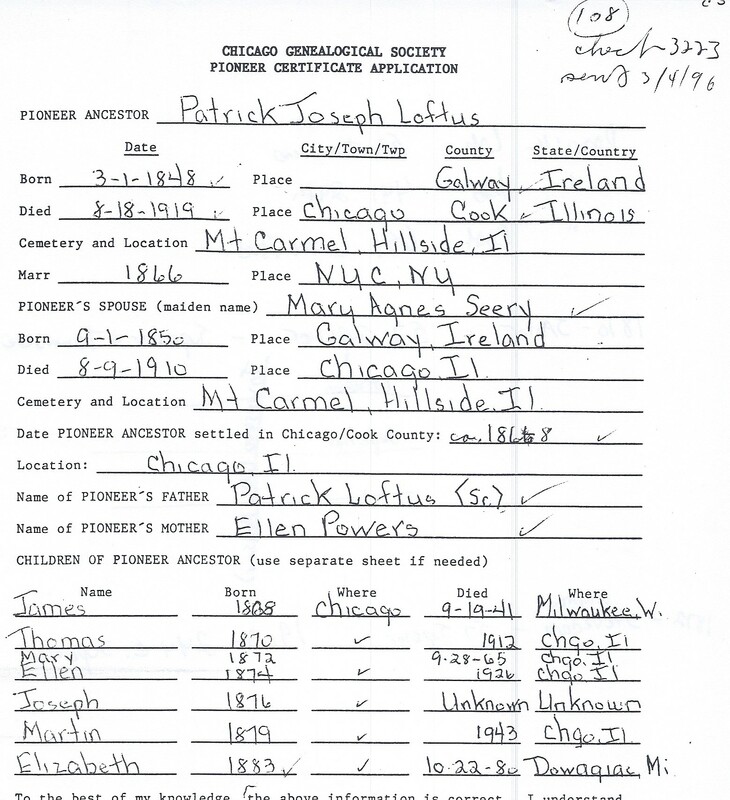 Patrick Joseph Loftus is Pioneer Ancestor number 108 and 125.